With the passage of this important legislation, the AMBER Alert Training and Technical Assistance Program is hard at work moving the law into action. 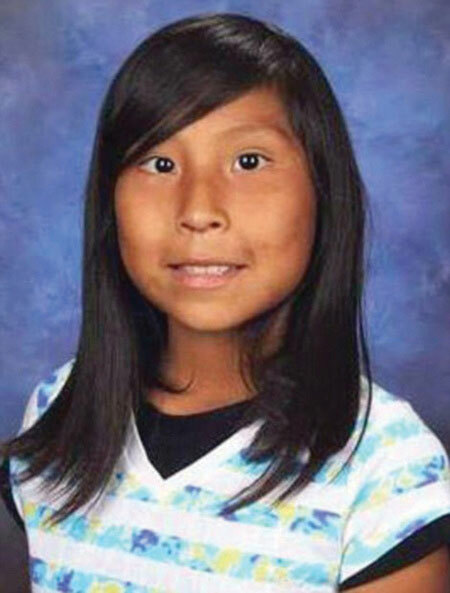 A law born out of the tragic abduction and murder of eleven-year-old Ashlynne Mike of the Navajo Nation endeavors to bring increased law enforcement coordination, new and expanded resources, and renewed hope for solid protection of children living on tribal lands. The AMBER Alert in Indian Country Act was passed in April 2018, nearly two years after Ashlynne was kidnapped and killed May 2, 2016, near Shiprock on the Navajo Nation Reservation. Tribal law enforcement officers did not have an AMBER Alert plan to notify the people living in the 27,000 square mile reservation that stretches from Arizona to Utah. As Ashlynne’s case progressed, it brought to light gaps in public safety preparedness and coordination in the area of response to missing and abducted children; heightening the awareness of legislators and others that this serious problem facing the Navajo Nation was also shared by tribes across the country. Allows for integration of tribal AMBER Alert systems into state AMBER alert systems. Makes Indian tribes eligible for AMBER Alert grants. Permits the use of grant funds to integrate state or regional AMBER Alert communication plans with an Indian tribe. Allows the waiver of the matching funds requirement for grants awarded to Indian tribes. Jim Walters is the AMBER Alert Training and Technical Assistance Program (AATTAP) Administrator and testified before Congress about the need for more resources for missing and abducted Native American children. He will now oversee efforts to put the legislation into action. Walters understands firsthand the unique obstacles within tribal lands. In 2006 he became the first AATTAP Liaison for the program’s ‘AMBER Alert in Indian Country’ initiative. He provided training and technical assistance to more than 200 tribes, with the goal of helping them respond swiftly and effectively to child protection issues including abductions, exploitation and human trafficking. He noted that long-term implications of victimization within the community are magnified by a close-knit societal structure, lack of resources and specialization, and limits to infrastructure and technology. After Ashlynne’s death, her mother, Pamela Foster, began advocating to make sure children in Indian Country had the same protection as any other child. 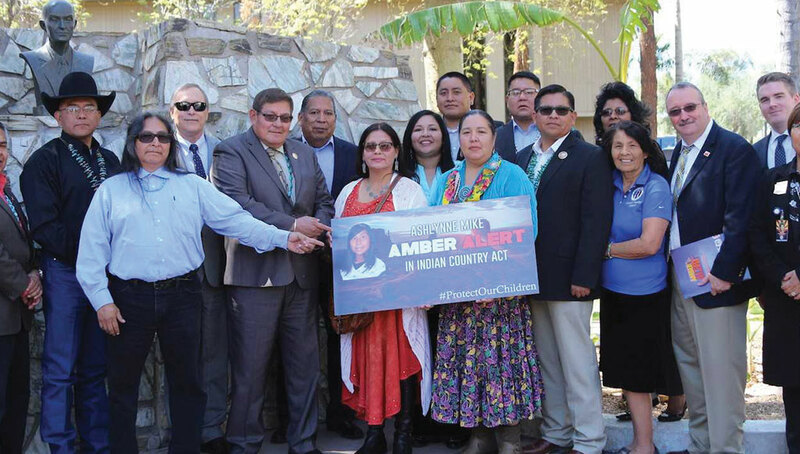 Foster got support from the late Senator John McCain and other legislators to bring the AMBER Alert system to all of America’s 567 federally recognized tribes. “This bipartisan legislation addresses serious gaps in current law that have prevented tribes from quickly issuing AMBER Alerts and helping victims like Ashlynne escape tragedy,” said McCain. The AMBER Alert in Indian Country Act expands the original PROTECT Act that started the National AMBER Alert program in 2003. That bill was passed after the so-called “summer of child kidnappings” that included the abduction of Elizabeth Smart and many other children across the U.S.
Walters has a plan to put the new law into action. Work closely with the Office of Juvenile Justice and Delinquency Prevention to meet OJJDP’s goal of expanding, supporting, and further improving the capacity and development or enhancement of AMBER Alert programs in Indian Country. Make sure AATTAP works in alignment with the direction of Congress as expressed in the new law. Serve tribal communities and work with states and regional AMBER Alert plans to develop agreements that provide access for tribal communities. Partner with the National Center for Missing and Exploited Children to provide resources and expertise to promote adoption of AMBER Alert programs across Indian Country. All of this work has been inspired by of the love shown by Ashlynne’s family.